When it comes to our weight, the thing we have to remember is that at the end of the day, we’re all human beings and no two of us are 100% alike. Some people were blessed with metabolisms that allow them to consume plate after plate full of junk food and sugary treat and barely gain a pound, whilst others appear to be cursed with slow and sluggish metabolisms that cause them to gain weight is they so much as look at a cake or biscuit. Ok, that’s a slight exaggeration but some people do find it much harder to lose weight than others. This next statement may sound a little sexist but it’s a medical fact backed up by scientific proof, and that is the fact that women, in general, find it harder to lose weight than men because of their metabolisms and the way their bodies work. Women are genetically predetermined to store body fat more easily than men, which is why more and more women need a little helping hand when it comes to fat loss. Recently there has been an influx of female guests at the PhuketFit weight loss and wellness retreat in Thailand, with women from all over the world crediting PhuketFit with getting them into the best possible shape of their lives. Here’s a look at a few reasons why PhuketFit is a great place for women to lose weight and get much fitter and healthier. 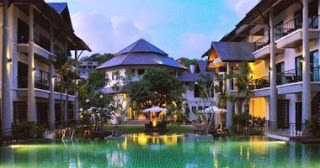 They off weight loss programs – PhuketFit is the most popular and most successful weight loss retreat in all of Thailand, possibly Asia as well, and its reputation speaks for itself. At PhuketFit they offer three main programs including: Total fitness, detox and cleanse, and weight loss. For women looking to lose weight, the weight loss programs are ideal as they will have custom diet, nutrition, and workout programs created. They will be assigned a highly skilled, friendly, and effective personal trainer. They will have access to state of the art gyms and fitness equipment. They can engage in group classes. They can approach their trainer for help and advice at any time, and they will learn all there is to learn about weight loss along the way. The staff are so friendly – In some gyms and fitness centres, personal trainers and other members of staff can be a little cold, rude, and possibly even aggressive towards their clients. They may believe that screaming at individuals like they’re in the army is the way to go about things, but more often than not they will intimidate their clients and put them off wanting to see them again. The staff at PhuketFit are incredibly friendly and warming. They’re approachable, they go out of their way to make clients feel happy and welcome, and what’s more is the fact that they want their clients to succeed. The facility is state of the art – Finally, another fantastic reason why PhuketFit is able to help women from all over the world lose weight and look fabulous is the fact that the facility is state of the art. No expense was spared during the creation process of the facility, and it shows in the gyms, the equipment, the facilities, and the surroundings. Oh, and as an added bonus, PhuketFit isn’t located in the centre of a congested city, it’s located on the coast just yards away from a tropical sandy beach.